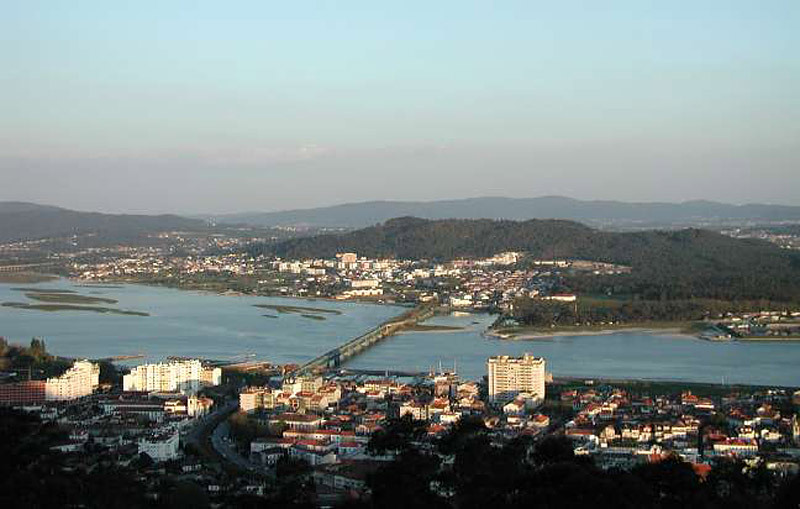 Oft described as ‘Entre o mar, o rio e a montanha’ (between the sea, the river and the mountains), the northern town of Viana do Castelo is exactly that. Its location on the Lima estuary, surrounded by verdant hills is probably best appreciated from atop the Monte de Santa Luzia. This contrasting scenery with its fine sandy beaches both coastal and fluvial, and the differing horizons offered by the Atlantic and the hills, is a place which has long been treasured by both local and visitor. The town of Viana, which has maintained a strong bond to the sea over the many centuries of its existence, is bustling and industrious and yet still feels very connected to the past with thriving folkloric traditions. The colourful regional dress and gold adornments of its women are famous and paraded proudly during its summer festival, the Festas de Nossa Senhora de Agonia in late August where florid processions make their way down to the sea to the sound of pounding drums. Its seafaring history recounts important moments such as the setting sail of explorers into the unknown 14th century world and pillaging at the hands of pirates, as well as a well-established deep sea fishing industry. Local boatmen also offer leisurely trips along the river Lima in their traditional crafts. 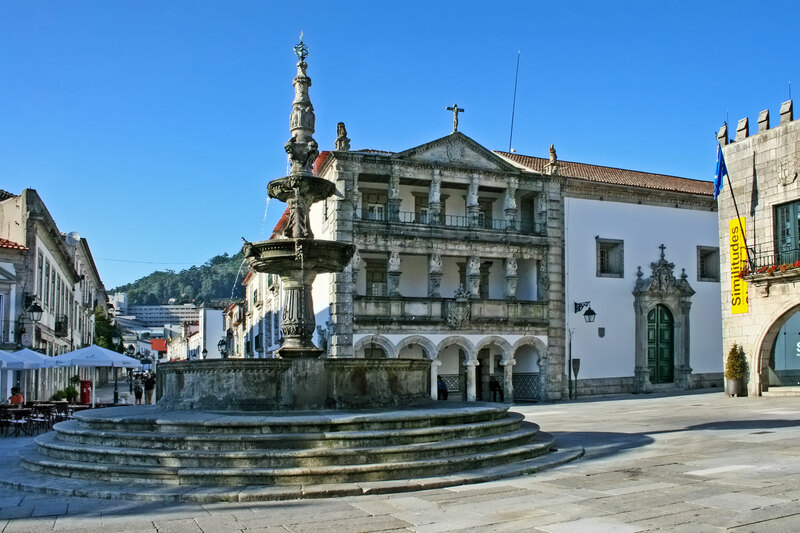 Within the town, the centrepiece of the elegant Praça da República is the Chafariz fountain with its much-admired water spewing figures, dating back to the 1500s. Also in this square is the unique arcaded building of the Igreja da Misericórdia. Its three storeys join on to the original almshouse of the same name and comprise an illustrious mixture of Roman archways, Renaissance balconies and interestingly carved pillars. The old town hall, the early 16th century Paço do Concelho, also graces this square with its Gothic arches and Renaissance detail. Elsewhere the castle, Castelo de Santiago do Barro (from where the town acquired the latter part of its name), was also built in the 16th century under the orders of King Philip I of Spain in order to protect the port from pirates. A Friday market is still held around its ramparts. And started in the 13th century, the town’s parish church is the two-towered Igreja de Matriz with a collection of azulejos and a trompe-l’oeil painting on its ceiling. A quick ferry crossing takes you to the pleasantly undeveloped beach of Praia de Cabedelo, to the south of the town just across the estuary. To the north, other sands stretch on and on, almost to the Spanish border. 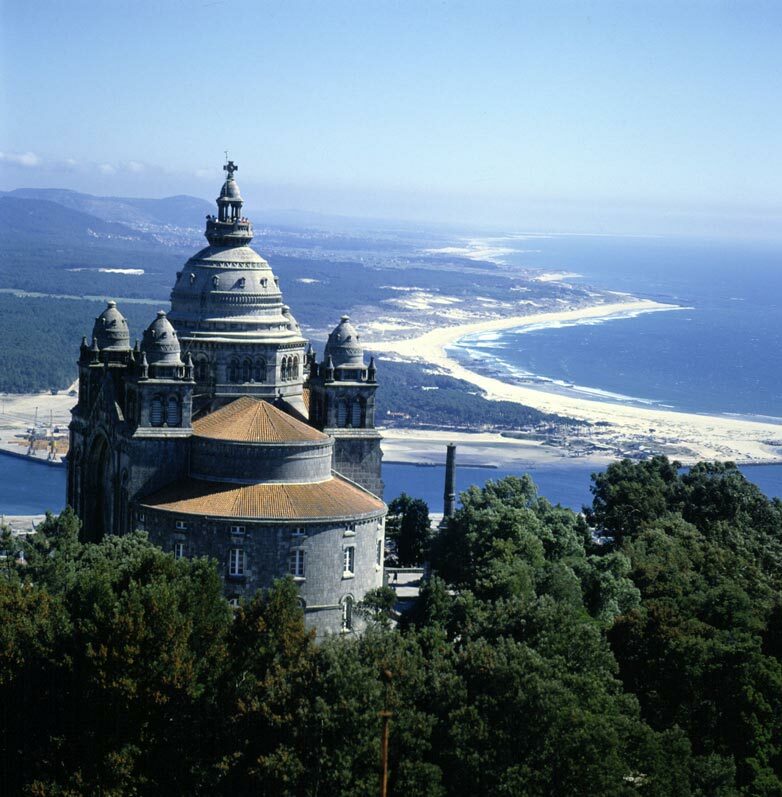 Just outside of the town, the aforementioned Santa Luzia mount boasts not only an excellent miradouro, a viewpoint with some of the best panoramic views in Portugal, but also a fairly modern basilica (the Santuario de Santa Luzia) and the remains of a Celto-Iberian settlement. Venturing further out, the surrounding countryside offers a host of opportunities to discover its delights; be they waterfalls, mills with working waterwheels or isolated chapels marking the pilgrims’ path to Santiago de Compostela in Spanish Galicia.